Mmmm, gold. Copper gold. 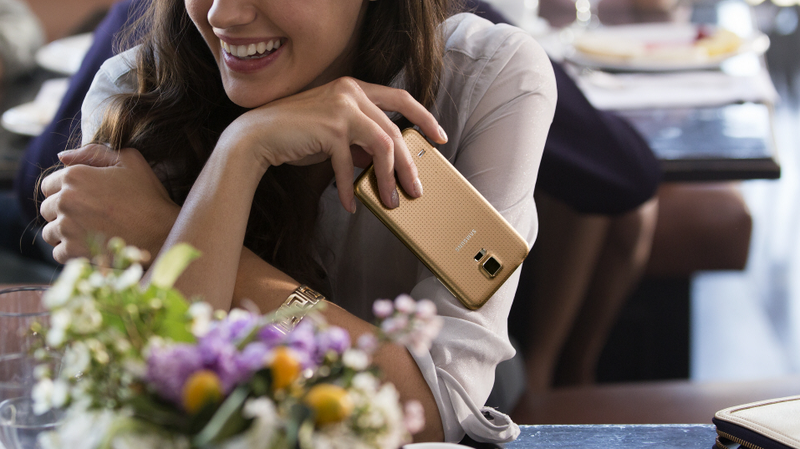 That’s the color of the Samsung Galaxy S5 you are seeing in this post. Samsung first introduced it back at the phone’s unveiling, but gave little indication as to when it might become available in the US. According to leak-machine, @evleaks, Verizon may be one of the first to sell it. There isn’t much else to say about the gold variant, other than the fact that it is painted with some form of a goldish color. It looks like #2 to me, while others think it closely resembles the adhesive you would lay atop a cut if you are bleeding. The specs inside are the same – 5.1″ FHD Super AMOLED display, 2GB RAM, Snapdragon 801 processor, and Android 4.4.2. I would imagine it will also sport 16GB of internal storage and cost $199 on-contract, just like the black and white models. Just curious – was anyone holding out for the gold model? 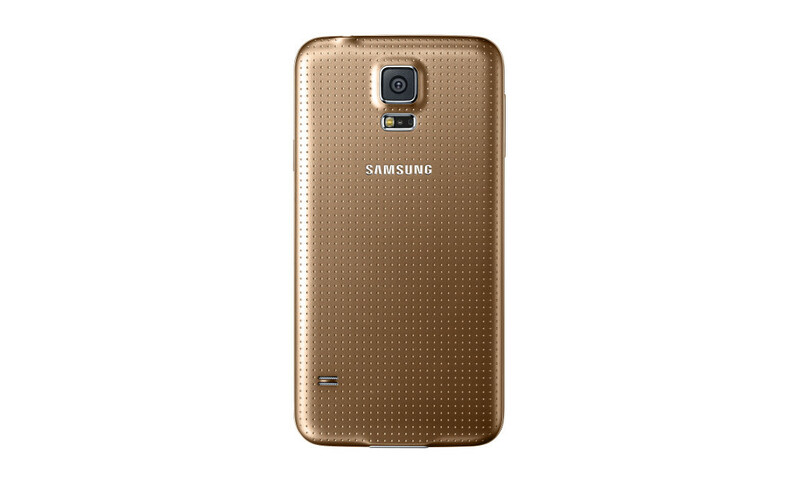 I’m also curious – why wouldn’t Samsung release the blue model before gold? Is gold on a phone really that hot of a trend these days?